EMS Events specialises in delivering the best award ceremonies, with specialists in planning and production we will take run your event from the initial planning stages and see it through until the end result. An award ceremony is always a very high profile event attended by a large number of people and the press. These types of events may attract worldwide publicity. Ensuring the event is a total success is very important. That’s why EMS Events is here to provide experience and expertise within the audio visual sector and to provide suitable equipment to ensure complete success of your event. At the Vitesse Media – Women in IT awards we provided a total service including project management, the hire of audio visual equipment, technical support, event production, graphics and power point production. 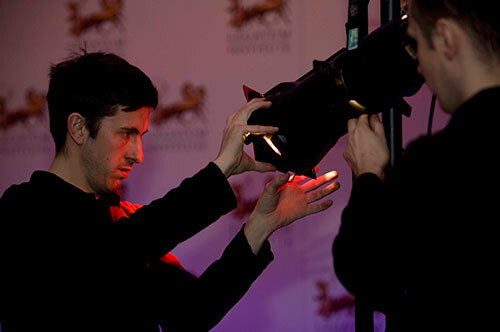 Using special equipment such as Gobo projectors to create special effects can make walking to receive an award even more memorable. Wall to wall screening ensures that everyone present has a comprehensive view of the events. While autocue systems make sure that no mistakes are made with names, information or speeches. We know just how important it is for a client to create a good impression and do everything we can to ensure that is exactly what happens. With EMS Events clients enjoy peace of mind, knowing that all equipment will work perfectly, and that the event will take place with no technological hitches. Why not call us on 020 7820 9000 or email us at support@ems-events.co.uk to discuss your event hire requirements with a member of our team. We would love to hear from you.